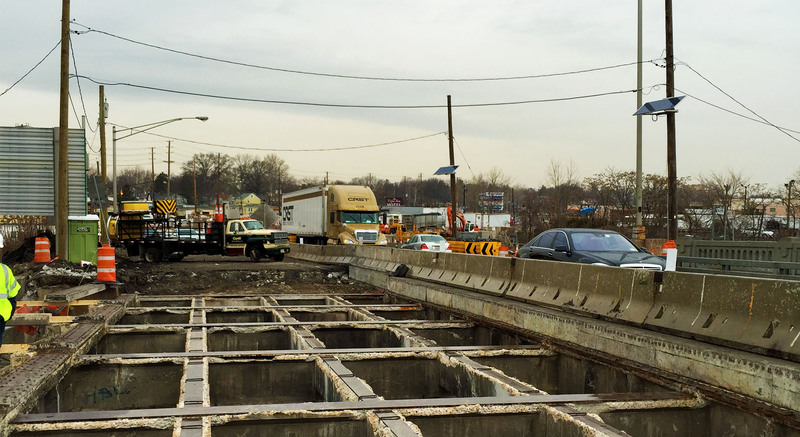 Conti has announced the completion of its highly anticipated Route 46 highway widening, bridge rehabilitation and storm water management project in Little Ferry, New Jersey. Commissioned by the New Jersey Department of Transportation (NJDOT), the $35 million infrastructure improvements are relieving traffic congestion and flooding in an area plagued by both for years. At the start of the project in early 2014, Little Ferry Mayor Mauro Raguseo called it, “The light at the end of the tunnel - a safer Route 46 in terms of traffic accidents, flood management and improved property values.” Now, just over two years later, the project team has delivered a new signalized four-way intersection in place of the former Little Ferry circle, reconstructed portions of the 82-year-old Hackensack River Bridge and constructed a new pump station with five pumps and a new drainage system to eliminate high tide flooding.